After taking a short break, the good people at 320Below are back in business!! This time with slightly different operational hours until they can find more staff. Well, I say no fish prawn also can! Welcome back!! By the way, if you guys are looking for a permanent part-time or managerial position, why not drop them an email at jobs@320below.com? The cafe announced on their Facebook page that they have decided to close the business mainly because they had trouble looking for staff 🙁 What a shame. Sorry folks, didn’t mean to cheat your feelings. It really was very good and I hope they will find a way to come back one day. 320Below started in October 2012 and since then, they have gained a steady stream of fans not just because of the unusual way the ice-creams are made but also because the team at the cafe is always warm and helpful. Whenever we go there, we almost always sit right in front of the counter so that we can chit chat with the owners. We are quite the kaypohs that way. What is so special about 320Below? Every scoop you order is made fresh and right in front of you with their colorful Kitchenaid machines. Man, I love those machines! They use liquid nitrogen to quick freeze the ingredients. Disclaimer: Prices are a little different now as compared to the prices stated on this picture. Just a teeny bit different lah. 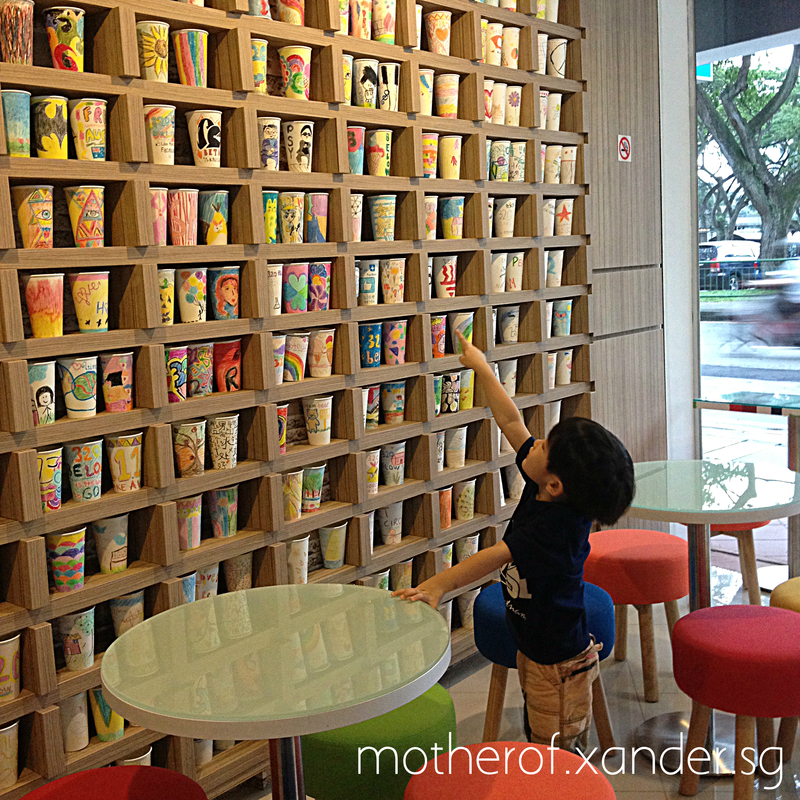 The wall of paper cups is Xander’s favourite part of the cafe other than the ice-cream of course. In case you were wondering, the cups on the wall were decorated by customers and guests when they opened last year. Some of them are really very nice! 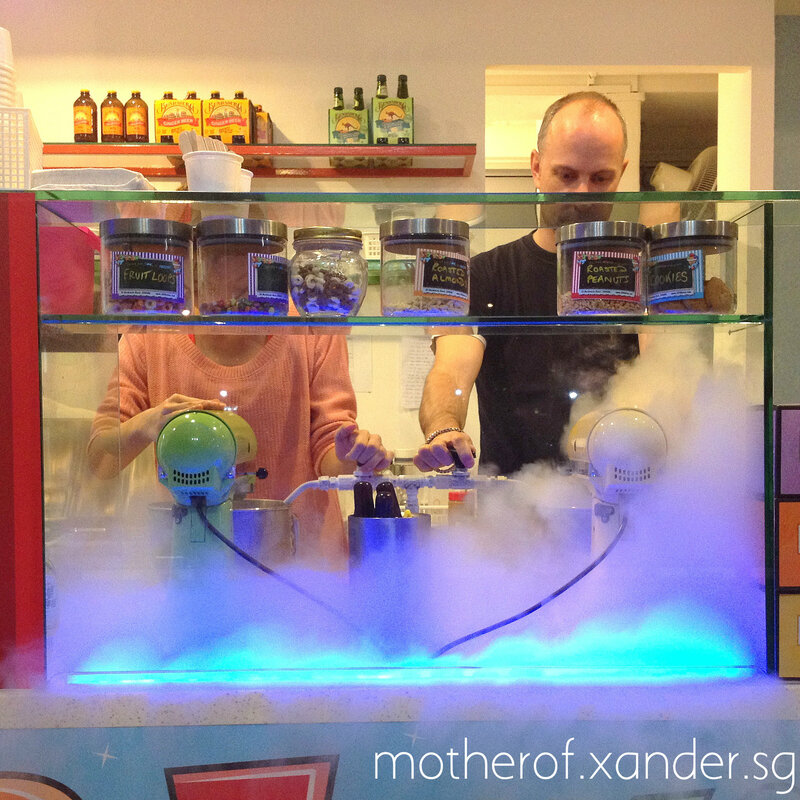 Kids dig the sci-fi light show while watching the experts whip up their ice-cream. 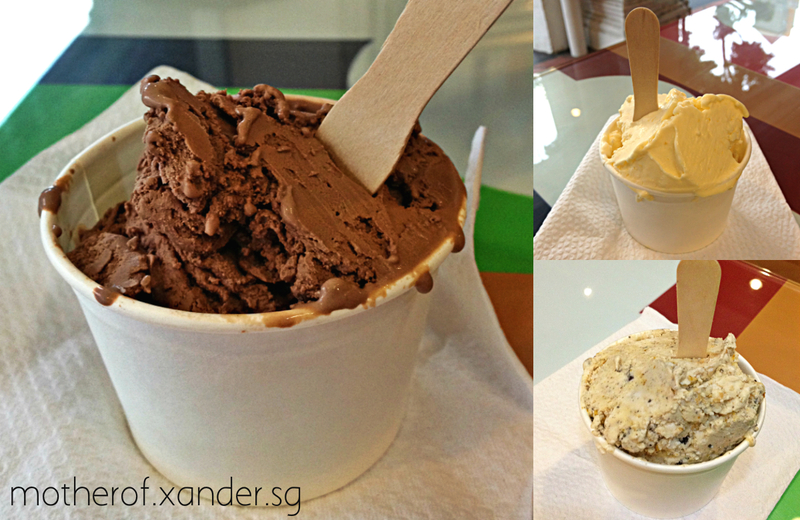 Some of the classic flavours: Chocolate, Mango and Chocolate Chip. Oh, they also serve cupcakes, waffles and hot coffee in case you want to munch/sip something while you wait for the ice-cream. 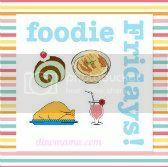 Having a party or corporate event? 320Below can provide catering services! Have cravings for ice-cream in weird and wonderful concoctions? EmailÂ them your requests and you might just be able to have it delivered to you for a small fee! 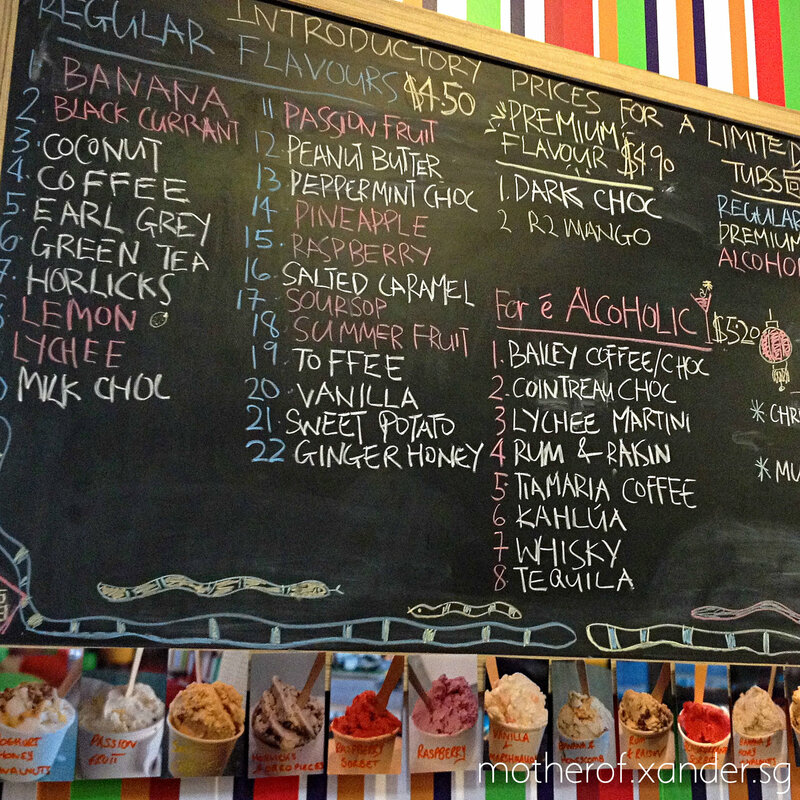 320Below is a simple, no frill cafe that serves up fresh and sincere ice-cream. I already said it’s no frills so don’t expect taste tests or lots of picture reference for the different flavours they have to offer. I tell you how to choose lah. 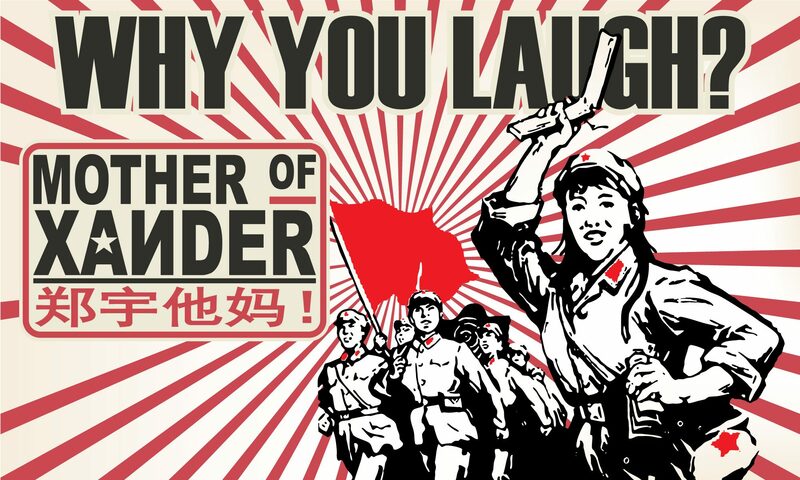 Â Just close your eyes and anyhow tikam a flavour (or combine 2!). Won’t go wrong one.Â Go check them out if you happen to be in the Little India area. Do note that they are closed on Mondays. Eh, make ice-cream is hard work you know? Need to rest leh. Disclaimer: Nobardee paid / bribed /stick spatula to my throat to write this review. All opinions are my own. I no bluff you.